Why aren’t self-closing fridge doors the default? At work there’s been a couple of instances of the fridge door being left open overnight. It’s obviously an accident, but the fridge defrosts and there’s a big puddle of water left, one of the smaller bar fridges opens onto a newly carpeted area, not good. The food also spoils and people’s lunches has to be thrown out, etc..
Because everyone was talking about ensuring that everyone else make sure the fridge door is closed my initial thought was that the fridges should have an alarm system so that they beep when left open for too long. Newer fridges do. But something I haven’t seen is self-closing fridge doors. We have the technology to automatically close doors and we have fridge doors, but somehow the two haven’t been merged and made a default, like air conditioning in a car is default these days. Surely the cost increase of making that the default is far less than all the spoiled food and cleaning up that happens. 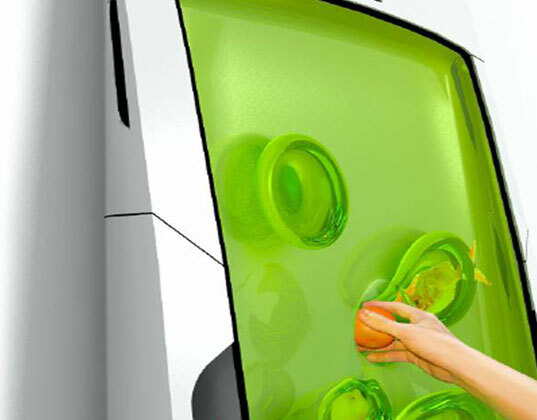 The Future : Self-refilling fridges. As part of The Book of New Eden, the futuristic sci-fi novel set in a post-scarcity world, I’m interested in what an ideal fridge would be like. Actually, it’s about the entire system. From growing food to transporting it and final usage. When you analyse the system you realise that using 5-10KJ of oil energy per KJ of food consumed is incredibly wasteful. From the fertiliser to pesticides to diesel powered tractors, refrigerated trucks and plastic packaging, to shipping food thousands of km and often between multiple countries, until it ends up in distribution centers, which send the food to supermarkets, which most people drive to, go into, take the food off the shelves, put them into a trolley, take them out to scan them, put them into plastic bags, carry them to their car, drive home, carry them into the kitchen, put them into the fridge or pantry and a few days or weeks later finally use the food to cook. That’s a lot of handling. Obviously the entire system needs a rethink. In the future I would expect the food to be sent straight to the fridge. You could pull out a tray of tomatoes (or a handful of them from the bio-gel fridge) and before you’ve even finished cutting those up the tray is full of tomatoes again. No going to the store, no unpacking the shopping, seamless refilling of the fridge. Of course the system behind that would be very different to what we currently have. The tomatoes would be grown in vertical farms which allow for a controlled environment so no pesticides are needed. The almost completely automated growing and harvesting system would pick the tomatoes when they are ripe, or needed. They could be picked directly off the plant and washed as it is transported through a set of maglev tunnels leading into your house (or apartment) and into your fridge. The transport network could also be used for lots of other items. Of course if you ordered a new picture frame it wouldn’t rock up inside your fridge but into somewhere that a robot could then put it on your wall for you. I haven’t mentioned paying for the food in this future as it’s also a post-monetary world, but the systems behind that is a much bigger topic. Note : I’m not involved with inhabitat.com in any way, they just had some cool articles about fridges which I liked. 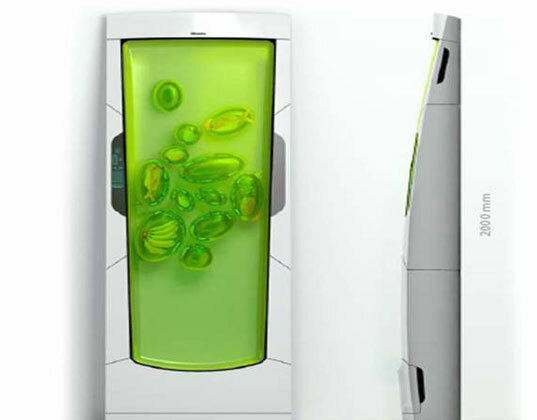 http://inhabitat.com/zero-energy-bio-refrigerator-cools-your-food-with-future-gel/ – This seems to be the most high tech, disruptive idea of a fridge. You don’t have a door, instead there’s a gel and you pull items through it. 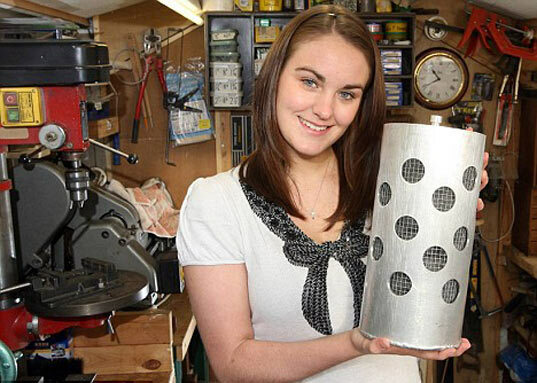 http://inhabitat.com/the-hot-fridge/ – Put the heat exchanger on the top and turn it into a warm plate. http://inhabitat.com/solar-powered-fridge-by-emily-cummins/ – A solar powered (evaporation based, not electric) fridge for the developing world, created by 21yr old Emily Cummins. 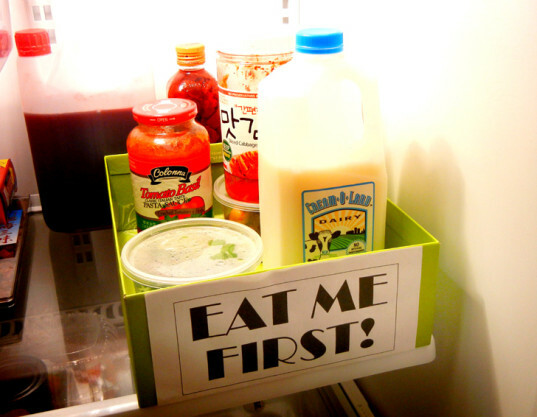 http://inhabitat.com/how-to-save-food-and-money-with-a-fridge-triage-box/ – To reduce food wastage because you didn’t see the food at the back, simply have a well labeled box that the most perishable items go into. 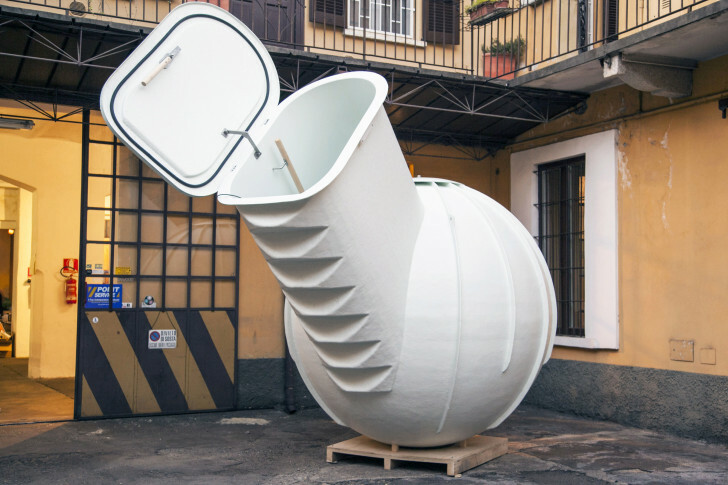 http://inhabitat.com/groundfridge-lets-you-store-perishables-without-traditional-refrigeration/ – Need to have a bigger fridge but don’t want to pay the electricity costs? How about burying one in the ground. 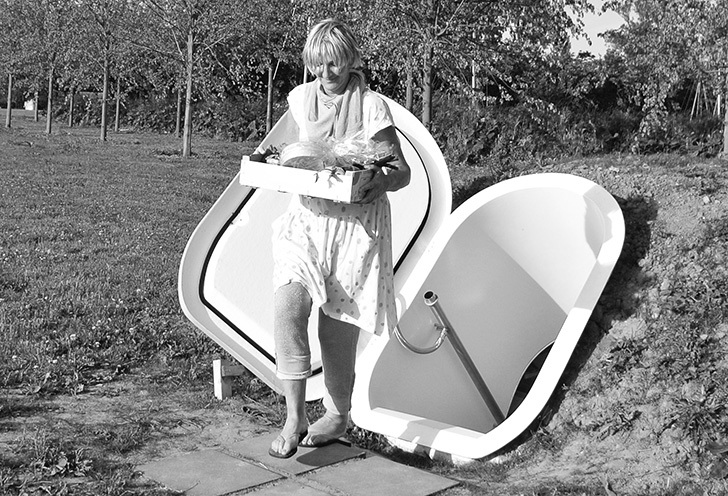 The groundfridge. 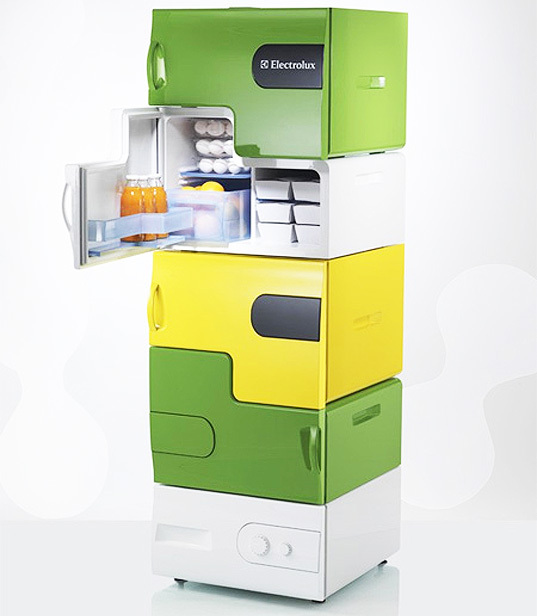 http://inhabitat.com/flatshare-fridge-stackable-refrigerator-a-la-legos/ – Stackable compartments in a fridge, making it easier for share houses to allocate fridge area and increase it as needed. http://www.oddee.com/item_97191.aspx – A list of various fridge ideas. Some aren’t all that amazing.